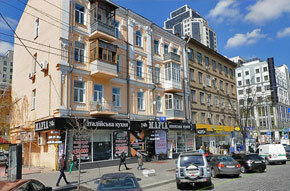 2 minutes walking from Maidan and Khreshchatyk street. 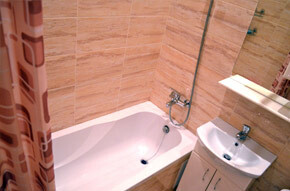 Newly renovated, modern and comfortable apartment with all amenities for short-term rental or constant accommodation. 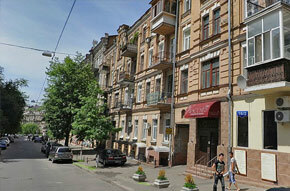 The best area for tourists in Kiev, a lot of shops, restaurants and sightseeing places around. 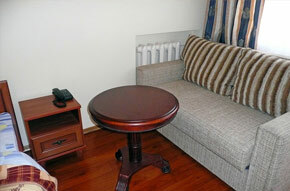 Easy access to public transport and Metro lines. 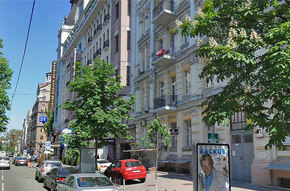 Very convenient and quiet studio apartment in historic house of Kiev center. 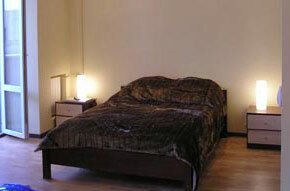 This comfortable and recently renovated apartment is fully equipped with modern amenities. Lovely place near renowned Kiev sightseeing alley with open air gallery of modern art sculpture and favorite strolling place of Kiev inhabitants.. 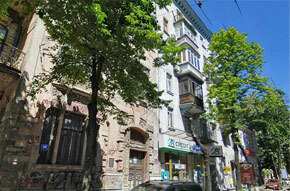 Newly refurbished serene studio apartment within the ambit of the central part of Kiev. 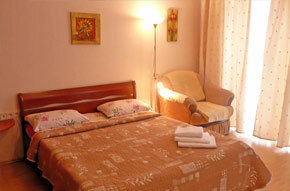 One-room apartment in the city center. Besides the perfect location next to hotel "Premier Palace", this apartment steals a march on mentioned hotel by significantly lower rental fee (10 times less) and by its roominess: double-bed, transforming sofa and single-bed. 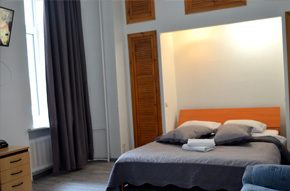 Rooms are overlooking courtyard so guests are not bothered by street traffic noise..
Nice traditional single-room flat with neat upkeep, tall ceilings and comfy furniture. 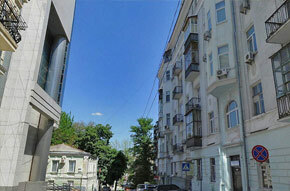 Prominent characteristic of this apartment is location in elite residential building with close proximity to St. Michael's Golden-Domed Monastery - one of the most remarkable architecture complexes of Kiev. 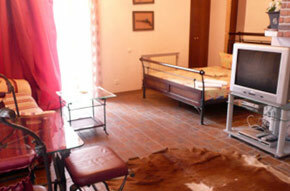 Comes with all necessary household appliances and air conditioning. 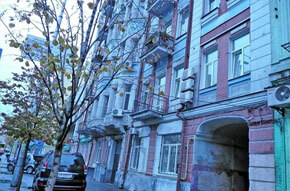 Prominent characteristic of this apartment is location in elite residential building with close proximity to St. Michael's Golden-Domed Monastery - one of the most remarkable architecture complexes of Kiev. Comes with all necessary household appliances. This spacious, bright and contemporary apartment is located on Podil - historical district of Kiev, and renovated in modern European style. 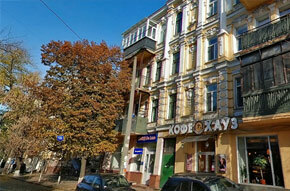 Building is near from the Metro station "Kontractova Ploshcha"..